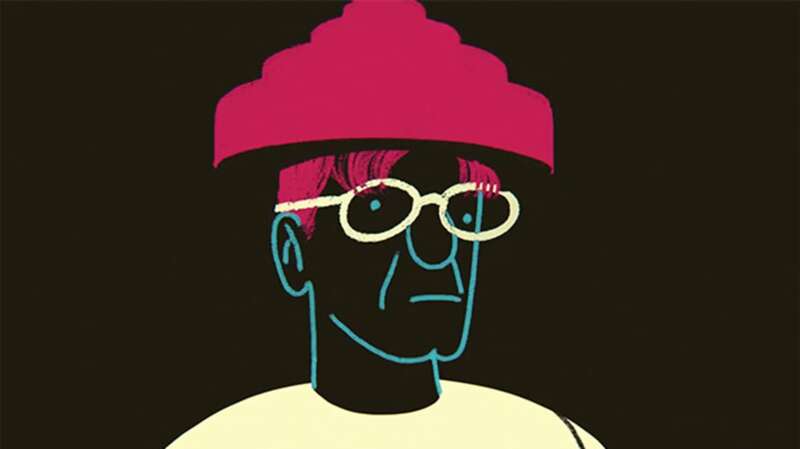 Devo frontman Mark Mothersbaugh grew up with awful vision. I think many of us who got glasses at some point in childhood have a similar story (mine was suddenly learning that trees had individual leaves, not just a big fuzzy green part), but Mothersbaugh was in fact legally blind as a child, and stayed that way until he finally was fitted with glasses. This transformational event, plus The Beatles, plus being there for the Kent State massacre in 1970 led him eventually to form the band Devo, with his brother and another pair of brothers. In addition to Devo, Mothersbaugh has done a ton of stuff, perhaps most notably his gazillion soundtracks (including The Lego Movie and a bunch of Wes Anderson films).